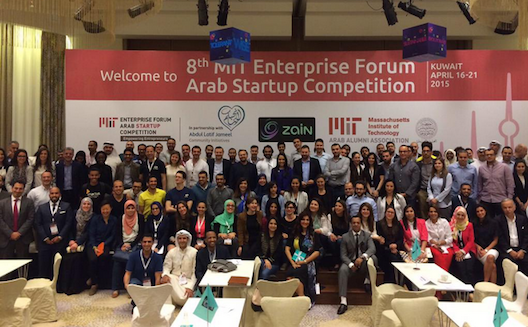 The 8th annual MIT Enterprise Forum of the Pan Arab region witnessed a record number of participants on Sunday April 19, with more than 12,000 applicants from 21 Arab countries congregating at the Symphony Style Hotel in Kuwait. Walking around the halls of the Symphony Hotel, it was refreshing to see young entrepreneurs demonstrating hardware products to fellow entrepreneurs or mentors. Enthusiasm outpaced business acumen in some cases, situations that events like this seek to address. “A lot of the startups need to work more on their pitches, which is not well taught here, so I think it would have been good to focus more on training them on this,” Haider noted. Still, there was no shortage of ideas. 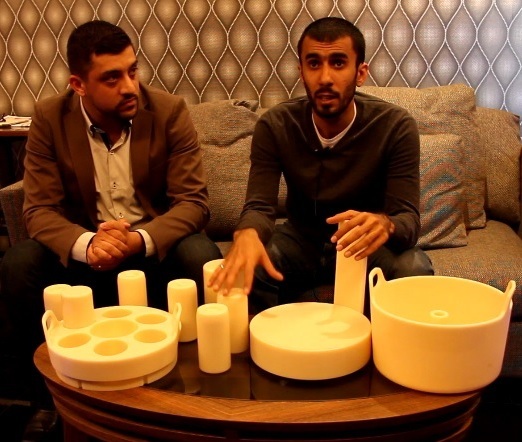 Some of the many builders we met were Qatari Khalid Aboujassoum (pictured below), founder and CEO of Tahi.me, showcasing a prototype of his instant cooking machine. 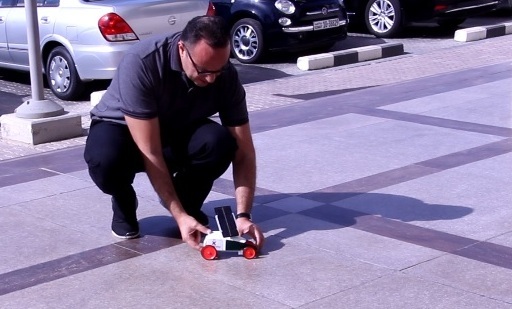 Egyptian Ali Fayed Abdel-Hafiz (pictured below), founder of iSolarWorkx.com based in the UAE, a car for kids to build, which gets its power from small solar panels. 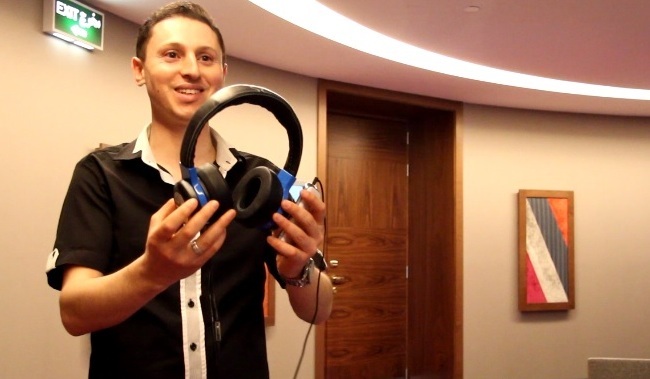 And Wala Aniba Belhaj (pictured below), of Morocco, allowed people around him to test his smart and safe headphones. 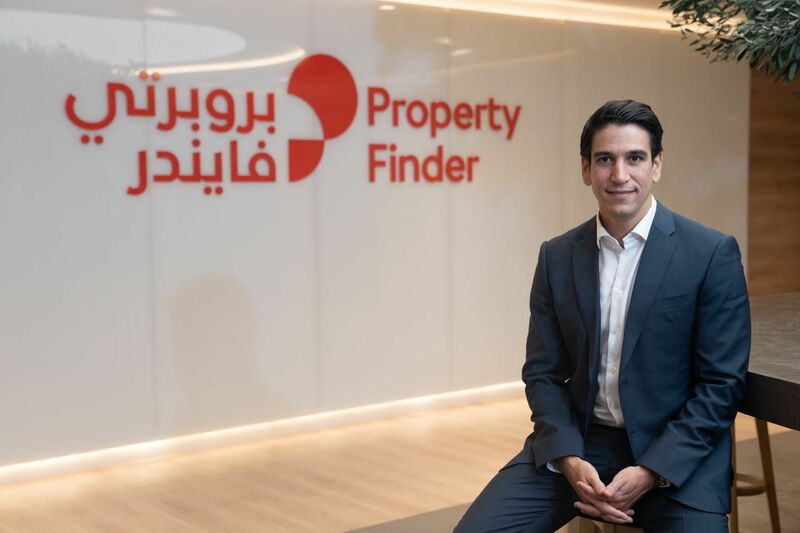 “It is inspiring to see so many great ideas and highly accomplished teams in the region, and always impressive when an entrepreneur has something to show as it drives home the message they are trying to send,” commented angel investor Nour Soueid. The winners ceremony, on Tuesday April 20, marked the culmination of six months of planning and staging. 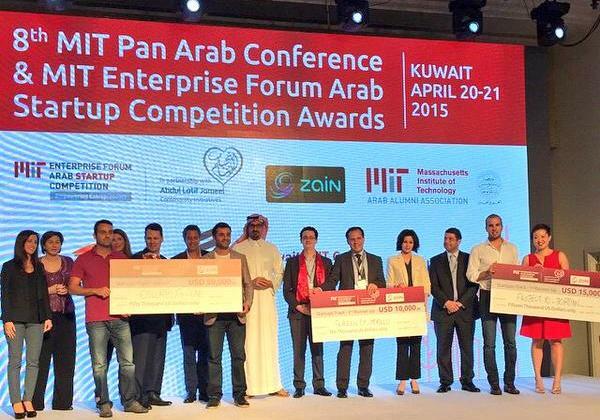 During the ceremony Hala Fadel, chair of the MIT EF Pan Arab competition, facilitated two panels made up of H.E. Sheikha Al-Zain Al Sabah, Undersecretary of the Ministry of State for Youth Affairs, Mohammed Alshaya, Executive Chairman of M.H. Alshaya Co, Mohammed Jaffar, CEO of Talabat.com, and Tarek Sultan, CEO and Vice Chairman of Agility. During these panels, the speakers discussed the Kuwaiti ecosystems, its needs and opportunities to incubate more success stories like Talabat. “We need the government to stop guaranteeing people jobs; it's not sustainable,” said Alshaya. 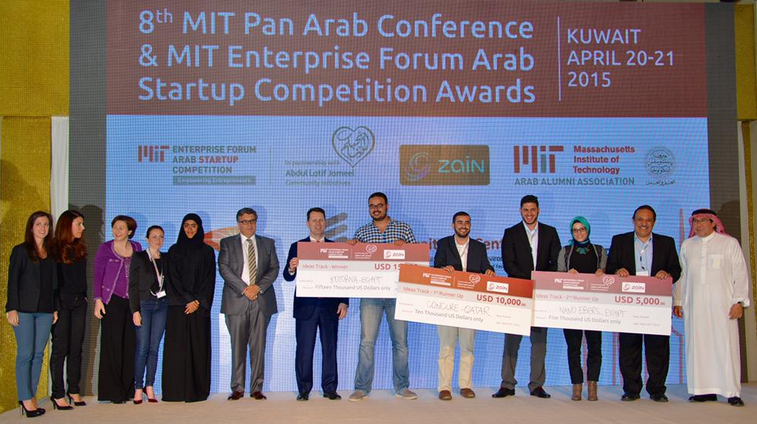 Organized with the collaboration of strategic partner Abdul Latif Jameel Community Initiatives (ALJCI) and Zain Group, the competition included three categories: Ideas, Startups, and Social Entrepreneurship. 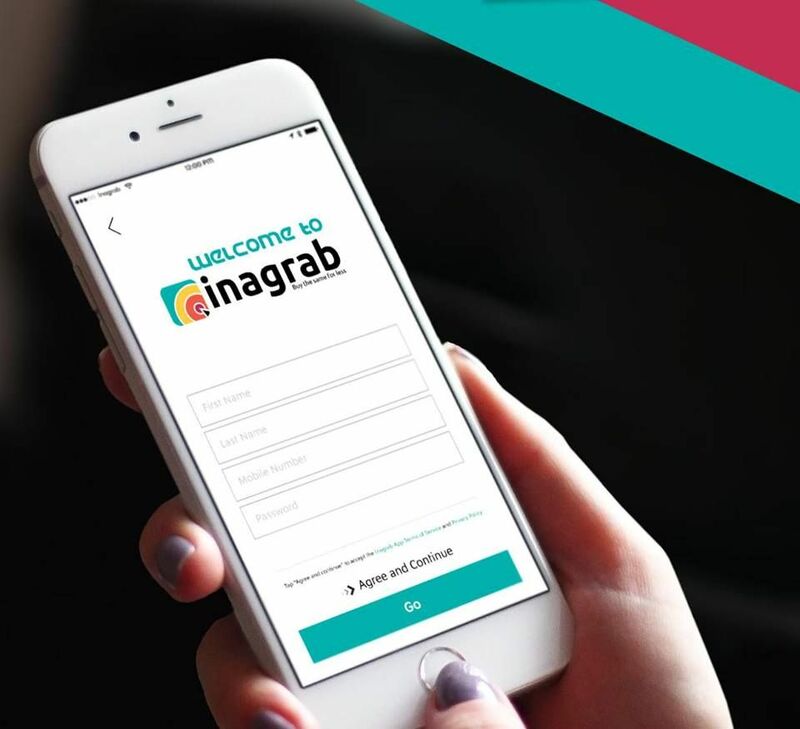 Entrepreneurs from Egypt, Jordan, Lebanon, Morocco, Saudi Arabia and the United Arab Emirates eventually were invited to the winner’s stage for best start-up innovative and creative business ideas in the Arab world out of 75 contesting teams from 15 Arab countries. 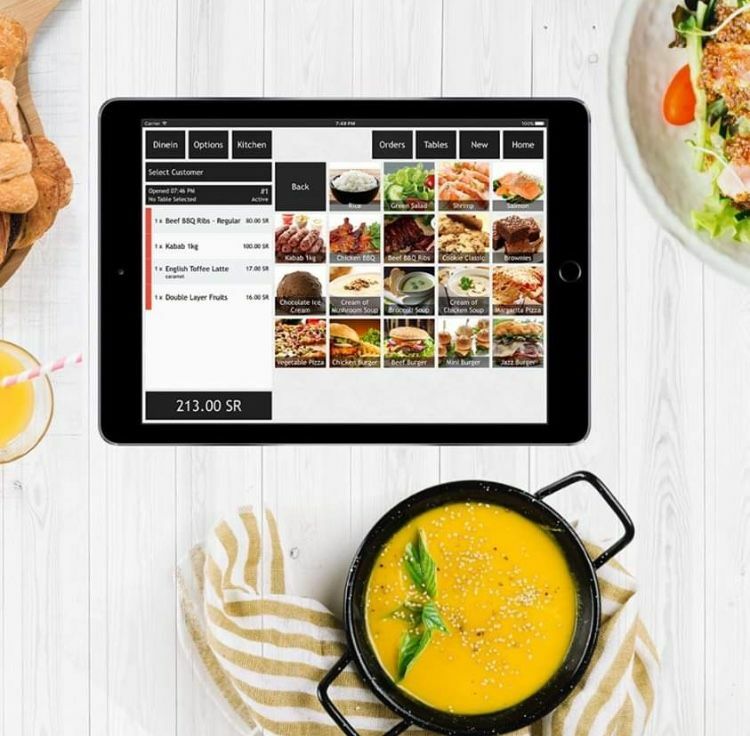 3rd place: Screen DY, @screendy, a Moroccan based team that developed a platform that allows any mobile developer to build complex, custom and native apps that work on all platforms within days. La Perle de la Mer, a Moroccan based entity whose project aspires to ensure the healthiness and safety of food products through the establishment of purification plants that will allow marketing for products in different markets directly and will allow fishing permanently. Apart from the winner’s prize money, each of the Ideas, Startups, and Social Entrepreneurship track semi-finalists benefitted from training, mentorship, coaching, media exposure, and networking opportunities throughout the competition.